Indoor air quality (IAQ) is compromised by pollutants such as dust, pollen, mold, mildew and volatile organic compounds (VOCs). These pollutants can come from furnishings, laboratories, cleaning solutions and building occupants. Health problems can begin shortly after exposure to poor indoor air quality. 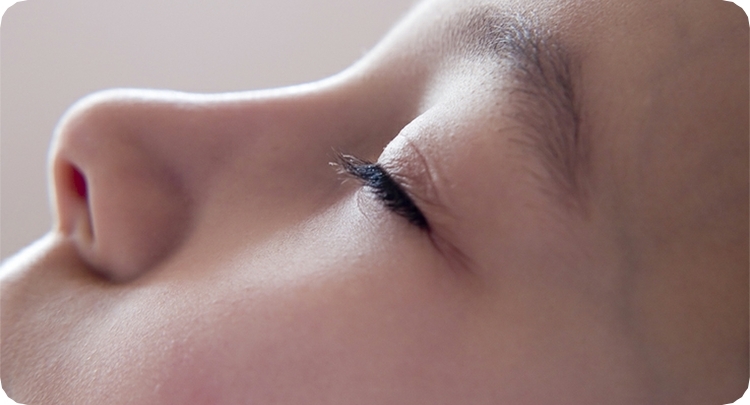 Occupants may experience itchy eyes, headaches and fatigue. Long term exposure to poor indoor air quality can contribute to chronic respiratory illnesses such as asthma. 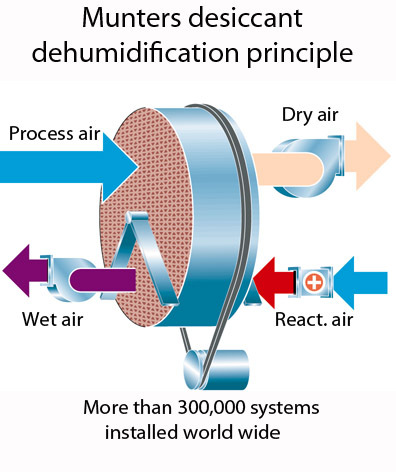 For this reason, the market for dehumidification systems has been largely driven by concerns over indoor air quality and energy usage in commercial buildings. Ironically, one of the major causes of indoor air quality problems has been due to revised code requirements that have demanded for more outdoor air to be introduced into buildings. As a result, outdoor air today can account for up to 80% of the dehumidification load in a building and can compromise the ability of existing Air Conditioner systems to handle an increased latent load. Proper ventilation and dehumidification can provide economic benefits through reduced operating costs, better indoor air quality and increased comfort levels. However, this leaves engineers and owners to face a major challenge. How to select an air treatment system that can provide increased amounts of ventilation air recommended by ASHRAE Standard 62 and required by revised building codes, without increasing the cost of the system and its cost of operation? To meet the challenge of increasing ventilation air, Munters uses two-time proven technologies: energy recovery to eliminate waste and desiccant dehumidification to bring the humidity to the center of the ASHRAE comfort zone. Combining desiccant with energy recovery allows Munters to provide a host of benefits. A Munters system removes moisture in the vapor phase with a desiccant rather than by condensation with a cooling coil. Because the air is not saturated as it enters the building, the supply air ductwork stays dry. ASHRAE recognizes the importance of dry ductwork in Standard 62, which calls for maintaining the humidity under 70% RH to avoid microbial growth. That criterion is very difficult to satisfy with cooling-based air treatment systems—but with Munters humidity is easily controlled in ductwork, while meeting ASHRAE guidelines. Contact us today for a complimentary assessment and let our Munters trained air treatment specialists recommend the correct Munters dehumidifier from the Munters Air Treatment range suited for your unique industry need that will improve the indoor air quality for Human comfort.